Here’s a Photoshop File at the correct size with guides as illustrated above. Here’s a sample of finished artwork that matches the above template. Here’s a sample below of what the inside of a mailer will look like after it’s been folded and glued and with a disc inserted. The inside panel in the template is the left half of the mailer pictured below and the inside sleeve section of the template is on the right with the disc inserted. This is then folded in half, wafer sealed and an address label is affixed to the blank back panel. Please remember to make sure that your file is 300 dpi and that all graphics you use in it are also 300 dpi so that it will print properly. Here’s a Photoshop File at the correct size with a guide layer as illustrated above. Allow background to flood the entire (square) document, including the hub. This is for the bleed. Do NOT try to cut out the center hub for your labels. Simply bleed your background image through the center disc. Do not place any text in the hub area. The same holds true for the outer edge of the disc. Bleed your background image 1/4” out from what will be the finished edge of the disc. 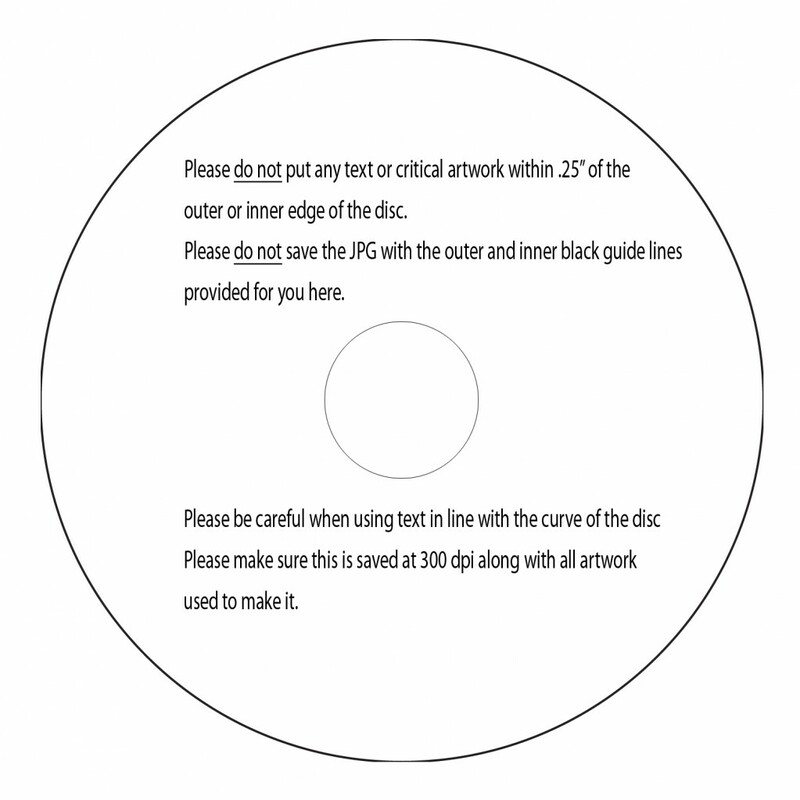 It is okay to submit a square image to us, just be sure there is no text outside the finished edge of your disc. 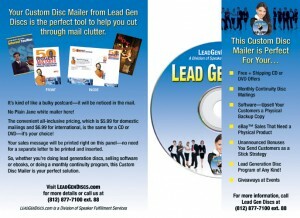 Copyright © 2004- Lead Gen Discs, Inc. All rights reserved.